Cultural Hybrids of (Post)Modernism starts from the premise that the literary-cultural milieu we live in is characteristically hybrid. To develop that premise, the present volume focuses on explaining the strong impact that Japanese culture, especially Japanese aesthetics, bore on Western intellectuals, Modernist literary writers and artists from the second half of the nineteenth century onwards, and, conversely, the impact of Western modernity on Japanese cultural modernization from the Meiji Era onwards. Such intercultural contact has brought on a renewal of cultural formats that can be explained in terms of hybridity as regards both the aesthetic and the intellectual production of the artists and thinkers from Japan and the West throughout the twentieth century and to the present. 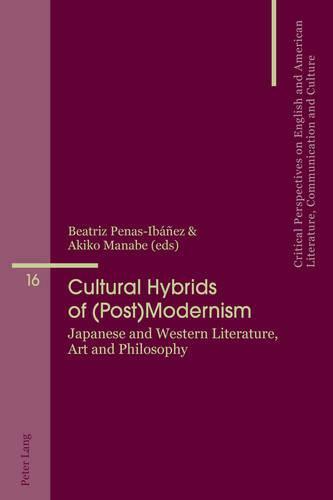 The outcome of modernization was the creation of new cultural standards in Japan and the West and, with it, new ways of understanding pedagogy and education, a reconceptualization of the Nation versus the individual, a redefinition of the role of women in modernizing society, also a revision of philosophical thought and a new approach to the role of linguistic signs in the production of meaning.